The water resistance system on the ProRower H2O RX-750 Home Series rowing machine imitates the dynamics of actually rowing a boat in the water. 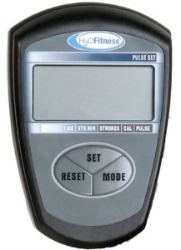 The display panel has a large LCD window to show workout feedback for time, distance, 500m split time, strokes per minute, calories, and heart rate. Frame Length/Seat Height: 78" x 20"
Check out the ProRower RX-750 Rower On Sale Now! There is no need for any knobs or manual adjustments to change resistance on the ProRower H2O RX-750 home series rowing machine. The water in the tank provides all the resistance you need for a great workout. However, if you prefer a harder workout, you simply row faster. For an easier workout, row slower. This is a great feature that anyone of any ability can use. The Hydro-Power system is contained in a polycarbonate water tank that has internal paddles to push against the water. 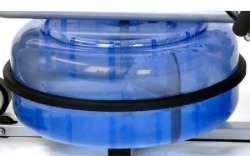 The tank holds between 2.5 – 4.5 gallons of water, with more water offering even more resistance. With Hydro-Power, you get a smooth pulling stroke plus the soothing sound of water lapping against the inside of the water tank. Other features on the ProRower H2O RX-750 home series rowing machine include a built-in heart rate receiver (chest strap sold separately), an ergo-fit seat, adjustable and pivoting footrests, and the easy tilt frame that allows the rower to be stored in a fully upright position, and occupying just 21" x 20" of space. There are a couple of items to note from user reviews on the ProRower H2O RX-750. It generally receives good remarks for being easy to assemble and performing like a solid rower, however, users who are conditioned and in top shape feel that the resistance is not high enough, even with the max water level and a fast rowing speed. Also, at 78" in length and a 350-lb user weight capacity, this model is too small for taller or heavier users, who will need to go with the RX-950 which measures 89" in length and offers a 550-lb user weight capacity. 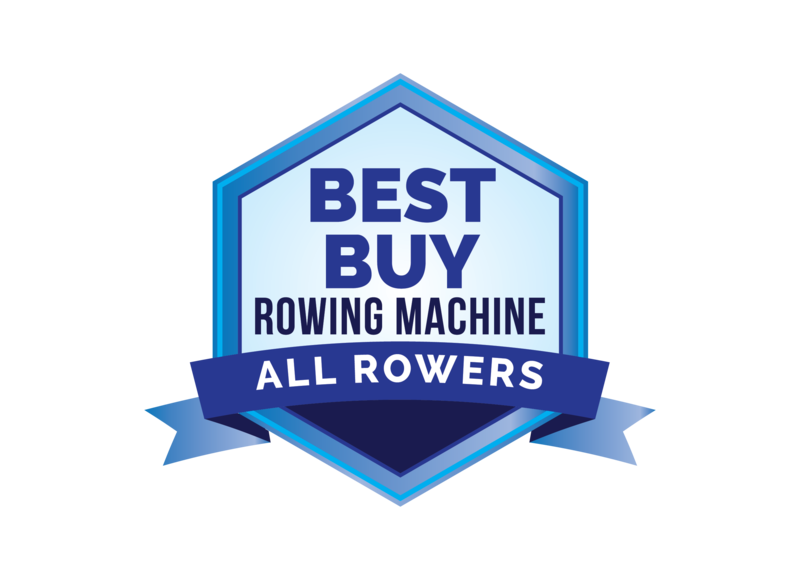 For almost $800, we would prefer a rower that didn’t have a bungee cord on the pulley system, and one that comes with a computer display that is more accurate in stroke and distance calculations. Wear items such as caster wheels on the seat and the bungee cord are things you will need to replace yourself eventually, and it can be a challenge to find out how to reorder from the company. Overall, the ProRower H2O RX-750 Home Series rowing machine is suitable for light rowers who will be rowing for long endurance workouts a few times a week, but serious rowers should pay $100 more for the commercial Concept2 rower.